Hi, I’m Rob Gaffney a full time professional magician based in Alton Hampshire, UK. I am a member of the world famous Magic Circle in London and Equity, have over 11 years experience entertaining with my Close-Up and Cabaret Magic, in America, the UK and even on board P & O’s ‘mvOriana’ Cruise Ship! No event is too small or too large. 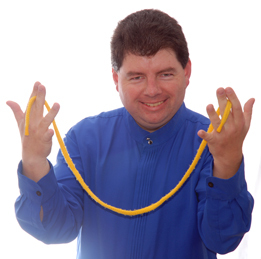 Please feel free to take a look around for information on my Close-Up Magic and Cabaret Magic. If you would like more information on any of my Magical Entertainment then please head over to my enquiry page using the link above. Then fill in your details and I will email you out more information so that you can make an informed decision without any obligation on your part. Rob - Thanks for everything!